With four coprocessors to choose from, which one is right for you? 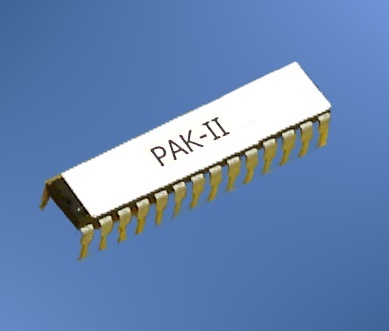 PAK-I: Best for cost- or size-conscious applications. Basic 32-bit math functions. Includes 8 digital I/O pins. 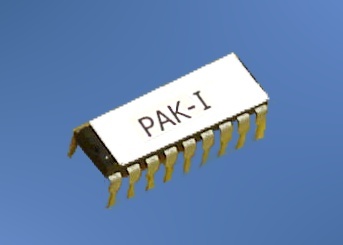 PAK-II: Compatible with the PAK-I, but adds trig, log, and other advanced functions. 16 bits of digital I/O. PAK-IX: Compatible with the PAK-II, but includes 8 digital I/O and 5 analog inputs. PAK-XII: ASCII math coprocessor with digital I/O, 6 analog inputs, and analog comparator. Can store up to ten custom formulas. The PAK-I, II, and IX use a synchronous serial protocol (SHIFTIN/SHIFTOUT-type interface) which is not speed critical, allows the processor to pace the transaction, and simplifies multitasking (where the main processor does a task while the coprocessor performs math). These PAKs use an efficient 32-bit floating point representation (and can accept and produce IEEE-format numbers, if required). The PAK-XII, on the other hand, uses standard 9600 baud, TTL-level RS232 communications with ordinary ASCII characters. This makes it very simple to understand and use. 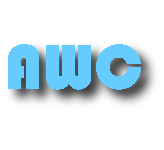 However, advanced applications that want to multitask and require compact representations of numbers will find the ASCII format and RS232 complicate their task. The bottom line? If you want to get something done rapidly and your processor can handle serial I/O, the PAK-XII is likely the best choice. If you have a processor that can't easily handle serial data or you are concerned with getting the maximum performance from the coprocessor, you will want to consider the PAK-I, II, or IX. There are many examples of using all of the coprocessors in the document library. Keep in mind that code written for the PAK-I will work on the PAK-II and IX. And, of course, code written for the PAK-II will mostly work on the PAK-IX or vice versa, except for code that relates to I/O not present on the device.